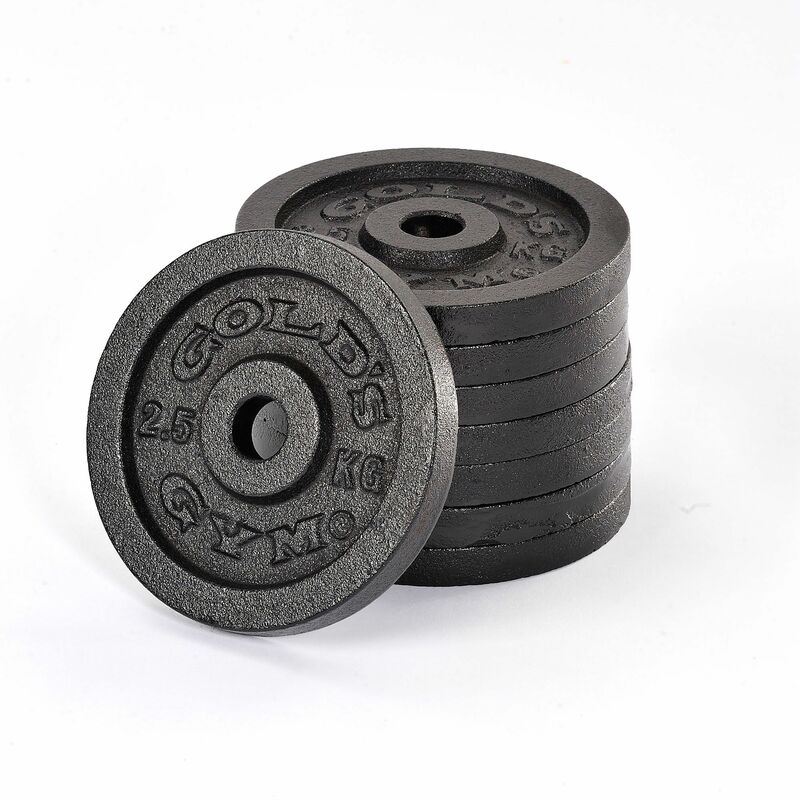 The Gold’s Gym weight plates are designed for professional use and compatible with standard 1” (25.4mm) bars. They are precision cast to provide increased weight accuracy and offer incredible strength and durability ensured by solid cast iron construction with a hammertone finish. Each weight plate has an embossed Gold’s Gym logo and weight marking. The set includes 8 standard weight plates weighing 2.5kg (5.5lbs) each. for submitting product review about Golds Gym 8 x 2.5kg Standard Cast Iron Weight Plates.